We joined DPAC, ROFA and other DDPOs for a week of action around the ‘Global Disability Summit’ hosted by the UK Government. 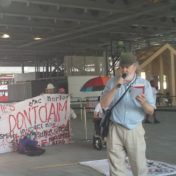 An International Solidarity Summit was organised to coincide with the event, to highlight the hypocrisy of the UK government, who are themselves in breach of the UN Convention on the Rights of Persons with Disabilities. The NHS is looking to reduce the number of interventions they do that don’t always work, and are consulting on how to do this. 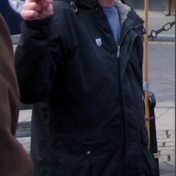 Hate crime inquiry – How can we build community cohesion when hate crime is on the rise? The All Party Parliamentary Group (APPG) on hate crime is running an enquiry. The APPG is interested to hear from experts, practitioners, victims and their representative organisations, as well as academics and others with an interest in and knowledge of the topic. The only way we can stop discrimination is by challenging it. 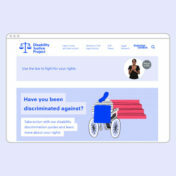 Our new Disability Justice Project guides will help you do it. The first legal challenge against Universal Credit has found that arrangements for its delivery unlawfully discriminate. ALLFIE are looking to make contact with families who currently have their Disabled (including SEN) children in mainstream school but are being pressurised into accepting a special school placement by the London Borough of Hackney. 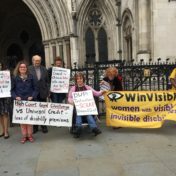 PIP Summer of Action 2018: What’s it all about? 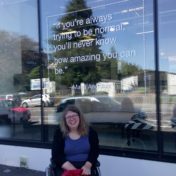 Starting in May 2018 and continuing over the summer months, members of the Disability Benefits Consortium will be supporting Disabled people, family carers, and anyone with an experience of claiming Personal Independence Payment (PIP) to meet their local MPs to talk to them about PIP.